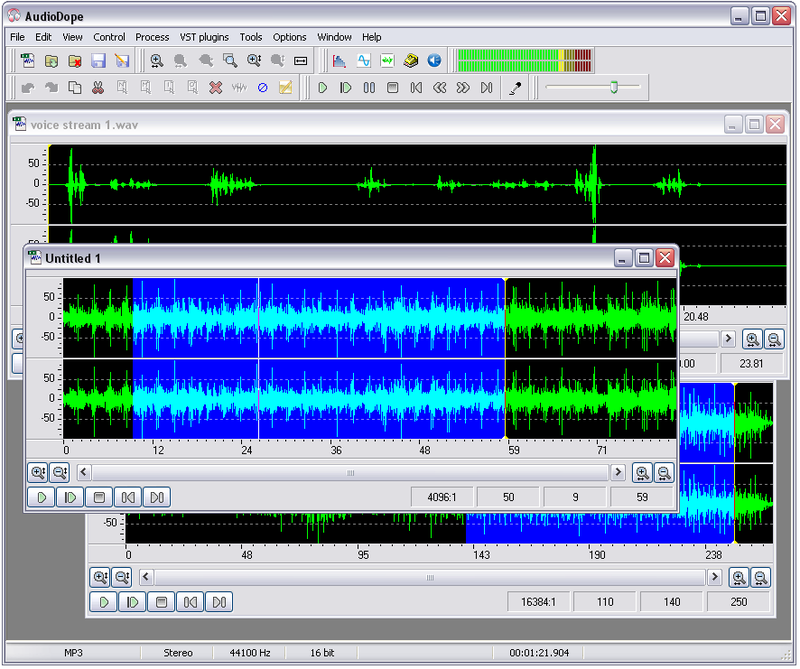 Audiodope in a FREE audio editor and recorder that can process most audio formats. You can record from any source line in, microphone, live streaming etc. Audiodope features support for importing, processing and exporting WAV, FLAC, MP3, and OGG Vorbis files. Bundled with a large array of plug-ins and effects, this software is ready for audio recording/playback, track mixing and audio spectrum analysis. The rich list of Effects includes equalization, bass, high/low pass filters, as well as amplify, fade in/out, normalize, reverse, echo and phaser filters. Additional effects can be achieved via plug-ins. Audiodope can also perform flawless audio analysis through an algorithm based on the Fourier transformation. Frequencies can be visualized through spectrogram view. You may download from our site and import VST plug-in and enhance the variety of you audio effects.